One of the best educational conferences, Missouri Livestock Symposium, in the state of Missouri, with an outstanding lineup of speakers every year is free to attend and a free lunch sweetens the pot. But all that aside, it is an excellent opportunity for farmers/ranchers/beekeepers/horse owners/stock dog enthusiasts to learn, not only from ‘experts’ but mostly from each other. Like most industry, farmers learning and networking with other farmers often results in more improvement. Of the many takeaways from the symposium was a brochure that hubby, Allen, picked up from the ATTRA-NCAT booth on “Building Healthy Pasture Soils.” While the bullet points they make have been known for millennia, it doesn’t hurt to revisit them to see if a return to the old ways will be profitable and regenerative for today’s farming. The answer is already a resounding ‘yes’ for the hand’s on land owner, but is debatable (short term anyway) for the renter or absentee land owner. As my son’s fiance pointed out, it takes at least 4 years of regenerative farming practices to turn that soil health around. Renters will not want to invest in a long term fertility strategy; absentee landowners are typically only interested in immediate returns in the form of annual cash rent. Let’s consider the agricultural practices that help build healthy soil. In essence, we want to increase aggregation, contribute soil organic matter, increase biodiversity, buffer soil temperature, and minimize soil compaction and disturbance. Sounds like a lot, right? Minimizing tillage preserves soil structure, encourages aggregation, and keeps soil carbon in the soil profile where it belongs. Tillage brings a flush of oxygen into the soil that spurs microbes into a feeding frenzy on carbon molecules, resulting in CO2 release. We reduce tillage through the use of perennial pasture and minimum or no-till of cover crops. Maintaining living roots in the soil for as much of the year as possible feeds soil microorganisms all year. Also, by maintaining living roots and leaving grazing residual, we are covering the soil all year, forming an “armor” to protect it from loss of moisture and nutrients. Maintaining species diversity is achieved with cover crop mixes and the use of diverse perennial-pasture mixes. Try to incorporate warm- season and cool-season plants, both grasses and broadleaf plants, in the same fields. Managing grazing is accomplished by planning for an appropriate grazing-recovery period on your paddocks, keeping in mind that plants need various recovery periods depending on the species, the time of year, and the soil moisture content. Overgrazing (not allowing adequate recovery) reduces root mass, photosynthesis, and the amount of carbon sequestered into the soil, decreasing soil life. Proper grazing builds soil. Finally, utilizing animal impact and grazing impact provides nutrient cycling in pastures, and contributes to soil organic matter. Additionally, the grazing action on forage plants encourages root growth and root exudation of plant sugars that feed soil microorganisms. 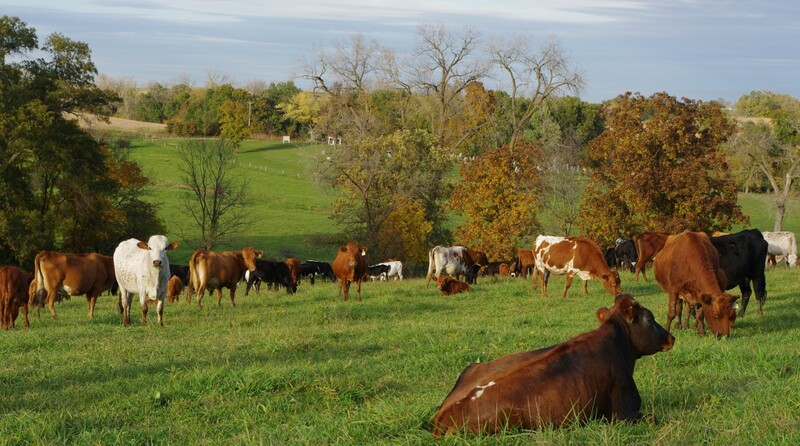 For livestock producers, this boils down to a combination of perennial pasture, cover crops in rotation on annual fields, and good grazing management. These simple concepts are described by ranchers Allen Williams, Gabe Brown, and Neil Dennis in a short video on how grazing management and cover crops can regenerate soils. View the video Soil Carbon Cowboys to get their take on soil health practices. Managing means planning AND implementing. All the planning in the world will not enact change or improvement; action and motivation drives profitability and regeneration. If you are not motivated, not able to get things done in a timely manner, then get someone to come alongside you and map out a plan – yet YOU are the one to ‘git ‘er done. Too many times, i see people with excellent plans stymied by their inability to get out of the chair and off the paper – i call that analysis paralysis. Don’t be a victim!